This week’s Misfit Entrepreneur is Scott Alan Turner. Scott is the Financial Rock Star, who went from what he calls a “money moron” at age 22 to self-made millionaire 13 years later. He sold a business he started with his wife that allowed them to do whatever they wanted for the rest of their lives,. Additionally, he’s been a partner and owner in 8 companies, and even took one from with $7 to 7-figures in sales in 18 months. 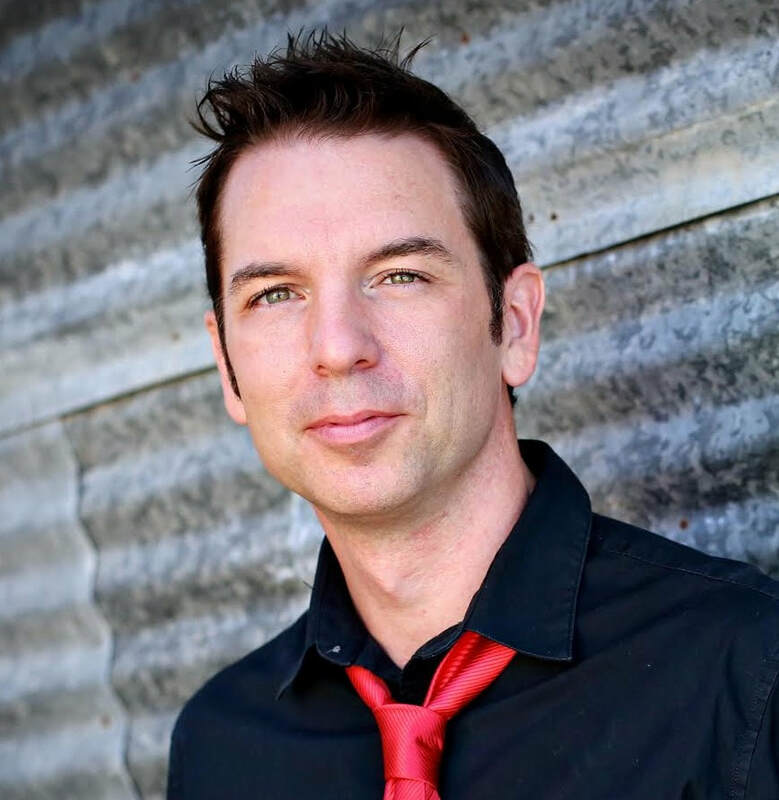 Scott is the author of best-selling book, the 99 Minute Millionaire, the host of the Live Like a Financial Rockstar podcast and his mission is helping people get out of debt faster, save more money, and retire rich. Successful entrepreneurs know that it is not just success in business, but also a good solid financial strategy that helps them win and Scott is going to share is best rockstar advice to help you get ahead and attain financial freedom today. Scott became a self-made millionaire and was retired in 13 years, but he had a rocky start. Scott came out of college with what he says is huge lack of financial education. He got into financial difficulties right off the bat. He over-leveraged and bought too big of a house and too much car, had no savings, and a ton of debt. He started to self-educate on finance and started learning to save and used his savings to start paying down his large mortgage. He was working in IT with a decent job and was approached about starting a side business which grew into business that he eventually started working at full time. He took a 65% pay cut, but says it was the right decision. Being very frugal in the area of large purchases such as homes, cars, vacations, etc. Most important thing you’ve learned about finances in life to this point? Money is just a tool to use. What people really want is the lifestyle that they think money can give them and thus money is not the end goal, but the tool you can use to get you there. At the 8 min mark, Scott talks about the reality of having an awesome lifestyle for very little money. The key is really take the time to get clear on what you want in your lifestyle as it might take a lot less than you think. What are the steps every entrepreneur should be taking to maximize their wealth? #1 Piece of Advice to Get Out of Debt? If you took all the money people typically spend on new car payments, interest, insurance, etc. and compounded it over 40 years, in most cases it is more than $1 million. But what if you have a car or need a car, what is the #1 Piece of Advice to Save Money? Renegotiate stuff you are already paying for such as your car insurance, home insurance, cell phone, utilities – anything you have a monthly bill for. Other ways is having a side hustle or if you are dual income, setting things up to live off one and save the other, etc. #1 Piece of Advice to Retire Early? The earlier you can start saving and the greater percentage of your income you can save over a long period of time – the faster you can retire. Target to save at least 30%, but in truth in order to do this financial independence has to be your bigger goal. You will have to make sacrifices to make this happen. At the 16 min mark, Scott talks about what you can do as an entrepreneur and business owner to help yourself be more profitable and create more wealth. Tips for transitioning from employee to entrepreneur and entrepreneurship in general? Whatever you can do to not be in “bad debt” is important. If you can use debt to produce more than the debt and payments, then consider it. If you can bootstrap without debt, do it and do it as long as you can. Knowing what you know today, if you were going to start a business, what would be the “go to” strategies you would use to get it going? Partnerships help you grow and succeed much faster. Find partners that have domain experiences for the areas you do not. Get the best minds in each area together and create the business together. You never know where you will find partners, so be open and remember that relationships from years ago can pay off – opportunity is always around you and never know where it might come from. Thoughts on the future of the financial system and what people should be thinking about? Set your alarm 5 minutes earlier and get 35 minutes more in each week. It is amazing what a little more time can do for you. Do something today for your significant other, get them a gift or card and hide it somewhere where they can find it. Show your appreciation. Think about the one thing that looking back 2, 5 or 10 years ago that you wished you started – and go start it. Do it now.